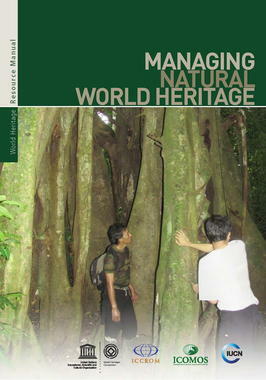 The goal of this Resource Manual is to help State Parties to manage natural values within World Heritage properties. As such it is aimed at natural and mixed World Heritage properties as well as cultural landscapes. Natural World Heritage sites are inscribed because of their superlative values relating to scenery and other superb natural phenomena geology, ecosystems and/or biodiversity. The intention is to help managers understand and incorporate World Heritage concepts and processes into natural site management. 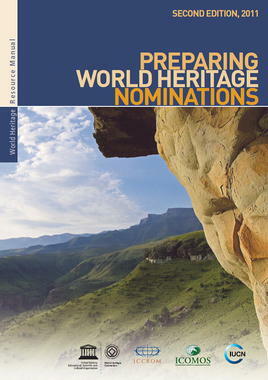 The Resource Manual is aimed at anyone with an interest in World Heritage, in particular those responsible for managing natural World Heritage sites, managers and staff of protected areas, local communities and indigenous peoples engaged in managing the property, as well as institutions and businesses operating in or alongside a natural World Heritage site. The Resource Manual is structured around a framework developed by IUCN for its management effectiveness work on protected areas. It identifies six stages within the management process: understanding the context of the site; planning site management; studying allocation resources and other inputs; the resulting series of management processes; the outputs, i.e. goods and services; and the conservation impacts or outcomes. 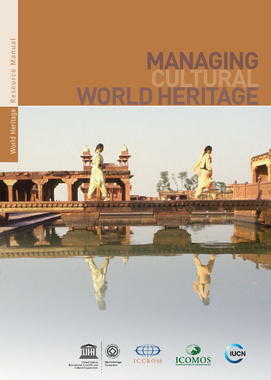 This manual is also an essential guide for World Heritage site managers to available literature and documentation on management issues. As site managers are faced with new challenges on almost a daily basis, conservation strategies must also evolve. The titles in this series are produced as PDF online documents which can be downloaded free of charge. Free/non-profit use/reproduction of this manual is encouraged, always quoting the original source. Since the World Heritage Convention was adopted in 1972, the World Heritage List has continually evolved and is growing steadily. With this growth, a critical need has emerged for guidance for States Parties on the implementation of the Convention. Various expert meetings and results of the periodic reporting process have identified the need for more focused training and capacity development in specific areas where States Parties and World Heritage site managers require greater support. 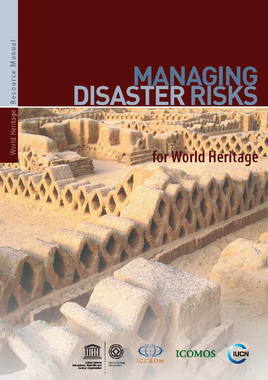 The development of this series of World Heritage Resource Manuals is a response to this need. The publication of the series is a joint undertaking by the three Advisory Bodies of the World Heritage Convention (ICCROM, ICOMOS and IUCN ) and the UNESCO World Heritage Centre as the Secretariat of the Convention.